Armidale is a city in the Northern Tablelands, New South Wales, Australia. Use Inspirock's suggestions to plan your Armidale trip and find the best activities and attractions for your vacation. Nelson Bay to Armidale is an approximately 4.5-hour car ride. On the 1st (Mon), you're off toRoma. Roma is a town, locality and the administrative centre in the Maranoa Region, Queensland, Australia. Kick off your visit on the 1st (Mon): don't miss a visit to The Big Rig, make a trip to Roma's Biggest Bottle Tree, and then steep yourself in history at Roma War Memorial Heroes Avenue. Plan trip to Roma with our itinerary maker to find out where to go and what to do. Explore your travel options from Armidale to Roma with the Route module. Finish up your sightseeing early on the 2nd (Tue) so you can travel to Springsure. Springsure is a town and a locality in the Central Highlands Region, Queensland, Australia. Kick off your visit on the 2nd (Tue): examine the collection at Old Rainworth Fort and then look for gifts at House of Magnolias. To see photos, reviews, and other tourist information, use the Springsure trip itinerary tool . Explore your travel options from Roma to Springsure with the Route module. In April, daily temperatures in Springsure can reach 34°C, while at night they dip to 20°C. Wrap up your sightseeing by early afternoon on the 2nd (Tue) to allow enough time to travel to Hughenden. Hughenden is a town and locality in the Shire of Flinders, Queensland, Australia. Kick off your visit on the 3rd (Wed): take an in-depth tour of Winton Diamantina HeritageTruck & Machinery Museum and then examine the collection at Flinders Discovery Centre. For maps, ratings, reviews, and other tourist information, read Hughenden online road trip planner . The Route module can help you plan travel from Springsure to Hughenden. April in Hughenden sees daily highs of 38°C and lows of 22°C at night. On the 3rd (Wed), wrap the sightseeing up by early afternoon so you can travel to Atherton. Atherton is a town and locality on the Atherton Tablelands within the Tablelands Region, Far North Queensland, Australia. Do some cultural sightseeing at Historic Village Herberton and Artistree Gallery. Get in touch with nature at Mission Beach and Atherton Tableland. Explore the numerous day-trip ideas around Atherton: The Pocket (in El Arish), Ellinjaa Falls (in Millaa Millaa) and Millstream Falls National Park (in Ravenshoe). Spend the 8th (Mon) exploring nature at Mt. Hypipamee National Park. There's lots more to do: view the masterpieces at Tolga Woodworks Gallery & Cafe, get outside with Platypus Viewing Platform, admire the sheer force of Malanda Falls, and identify plant and animal life at The Peterson Creek Walking Track. To find other places to visit, where to stay, maps, and more tourist information, go to the Atherton trip itinerary builder . Explore your travel options from Hughenden to Atherton with the Route module. Expect slightly colder weather when traveling from Hughenden in April: highs in Atherton hover around 34°C, while lows dip to 25°C. Finish your sightseeing early on the 9th (Tue) so you can travel to Cape Tribulation. Step off the beaten path and head to Daintree Rainforest - Cooper Creek Wilderness and Alexandra Bay Waterfall. Escape the urban bustle at Daintree National Park and Myall Beach. When in Cape Tribulation, make a side trip to see Floravilla Ice Cream Factory in Daintree, approximately 44 minutes away. The adventure continues: tour the pleasant surroundings at Thornton Beach and kick back and relax at Cape Tribulation Beach. For reviews, maps, other places to visit, and tourist information, read our Cape Tribulation online day trip planner . Use the Route module to find suitable travel options from Atherton to Cape Tribulation. Expect a daytime high around 34°C in April, and nighttime lows around 25°C. Wrap up your sightseeing on the 12th (Fri) early enough to travel to Port Douglas. Kick off your visit on the 13th (Sat): kick back and relax at Four Mile Beach, then explore the galleries of Ngarru Gallery, then take in the exciting artwork at Studio 49 Artisan Gallery, and finally take in the exciting artwork at Des Spencer Galleries. To see reviews, where to stay, ratings, and other tourist information, you can read our Port Douglas route planner . You can do a combination of car and ferry from Cape Tribulation to Port Douglas in 2 hours. Another option is to take a bus. Expect a daytime high around 34°C in April, and nighttime lows around 25°C. Finish your sightseeing early on the 14th (Sun) so you can drive to Cairns. You'll discover tucked-away gems like Josephine Falls and Cairns Art Gallery. Get some cultural insight at Doongal Aboriginal Art and Samurai Gallery Australia. Spend the 15th (Mon) among aquatic life with a scuba or snorkeling tour. There's more to do: take in the dramatic scenery at Crystal Cascades and go for a walk through Red Arrow Walk. To find traveler tips, more things to do, photos, and more tourist information, refer to the Cairns planner . Drive from Port Douglas to Cairns in 1.5 hours. Alternatively, you can take a bus; or take a shuttle. In April, daily temperatures in Cairns can reach 34°C, while at night they dip to 26°C. On the 16th (Tue), wrap the sightseeing up by early afternoon so you can travel to Innisfail. Innisfail a town and locality in the Cassowary Coast Region in Far North Queensland, Australia. Plan my Innisfail trip by asking Inpirock to come up with tips and suggestions. Use the Route module to find suitable travel options from Cairns to Innisfail. In April, plan for daily highs up to 34°C, and evening lows to 25°C. On the 17th (Wed), you'll have the morning to explore before heading off to Mission Beach. On the 17th (Wed), look for gifts at The Pocket, explore the galleries of Helen Wiltshire Gallery, and then kick back and relax at Mission Beach. For maps, photos, ratings, and tourist information, refer to the Mission Beach road trip tool . The Route module can help you plan travel from Innisfail to Mission Beach. Wrap up your sightseeing on the 18th (Thu) to allow time to travel to Bowen. Bowen is a coastal town and locality in the Whitsunday Region on the eastern coast of Queensland, Australia. Kick off your visit on the 18th (Thu): kick back and relax at Grays Bay and then enjoy the sand and surf at Horseshoe Bay. For photos, other places to visit, traveler tips, and tourist information, use the Bowen day trip website . Use the Route module to find suitable travel options from Mission Beach to Bowen. Expect a daytime high around 32°C in April, and nighttime lows around 22°C. On the 19th (Fri), wrap the sightseeing up by early afternoon so you can travel to Airlie Beach. For ratings, traveler tips, where to stay, and tourist information, go to the Airlie Beach trip builder tool . The Route module can help you plan travel from Bowen to Airlie Beach. Expect a bit warmer evenings in Airlie Beach when traveling from Bowen in April, with lows around 26°C. Wrap up your sightseeing on the 20th (Sat) early enough to travel to Finch Hatton. Start off your visit on the 20th (Sat): look for all kinds of wild species at Finch Hatton Gorge and then explore the wealth of natural beauty at Broken River. To see maps, ratings, more things to do, and tourist information, you can read our Finch Hatton tour itinerary builder . Use the Route module to find suitable travel options from Airlie Beach to Finch Hatton. In April, plan for daily highs up to 32°C, and evening lows to 23°C. On the 21st (Sun), wrap the sightseeing up by early afternoon so you can travel to Mackay. Mackay is a city and its centre suburb in the Mackay Region on the eastern coast of Queensland, Australia. To see photos, maps, where to stay, and more tourist information, you can read our Mackay trip planner . Use the Route module to find suitable travel options from Finch Hatton to Mackay. Expect a daytime high around 32°C in April, and nighttime lows around 23°C. Wrap up your sightseeing on the 22nd (Mon) early enough to travel to Rockhampton. Kick off your visit on the 22nd (Mon): enjoy the sand and surf at Yeppoon Main Beach and then look for all kinds of wild species at Capricorn Caves. Get ready for a full day of sightseeing on the next day: examine the collection at Archer Park Rail Museum, view the masterpieces at Rockhampton Art Gallery, then pause for some photo ops at Rod Laver, and finally admire nature's wide array of creatures at Rockhampton Botanic Gardens. For photos, where to stay, and more tourist information, use the Rockhampton online day trip planner . The Route module can help you plan travel from Mackay to Rockhampton. In April, plan for daily highs up to 33°C, and evening lows to 21°C. Wrap up your sightseeing by early afternoon on the 24th (Wed) to allow time for the train ride to Bundaberg. Bundaberg is a city in Bundaberg Region, Queensland, Australia. On the 25th (Thu), take in the exciting artwork at Bundaberg Regional Art Gallery and then look for all kinds of wild species at Mon Repos. Use Inspirock's suggestions to plan your Bundaberg trip and find the best activities and attractions for your vacation. Traveling by train from Rockhampton to Bundaberg takes 3.5 hours. Alternatively, you can take a bus; or drive. In April in Bundaberg, expect temperatures between 32°C during the day and 20°C at night. Finish your sightseeing early on the 25th (Thu) to allow enough time to travel to Rainbow Beach. 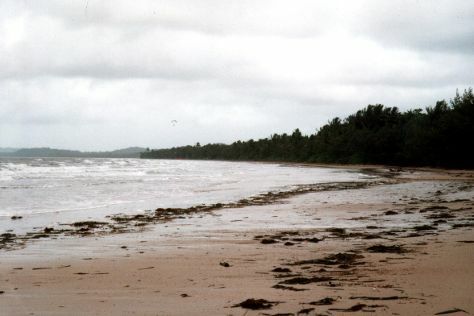 Rainbow Beach is a coastal town in the Wide Bay–Burnett region of Queensland, Australia, east of Gympie. To find other places to visit, more things to do, photos, and other tourist information, you can read our Rainbow Beach trip planning tool . Use the Route module to find suitable travel options from Bundaberg to Rainbow Beach. You will leave for Toowoomba on the 26th (Fri). Toowoomba is a city in the Darling Downs region in the Australian state of Queensland. Kick off your visit on the 26th (Fri): take in the architecture and atmosphere at St Luke's Anglican Church, learn about winemaking at Preston Peak Winery Function Centre, and then get engrossed in the history at Lockyer Valley Cultural Centre. Keep things going the next day: steep yourself in history at Spring Bluff and then take an in-depth tour of Highfields Pioneer Village. For traveler tips, other places to visit, and other tourist information, go to the Toowoomba route maker site . Explore your travel options from Rainbow Beach to Toowoomba with the Route module. April in Toowoomba sees daily highs of 29°C and lows of 13°C at night. Finish your sightseeing early on the 27th (Sat) so you can travel to Port Macquarie. 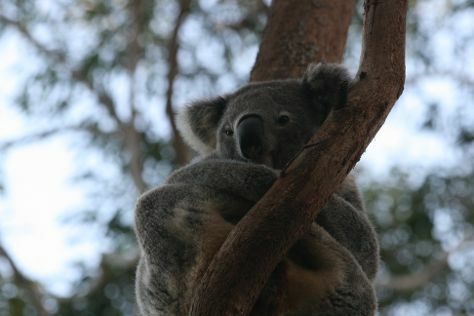 Start off your visit on the 28th (Sun): have fun at Port Macquarie Driving Range and Mini Golf and then identify plant and animal life at Koala Hospital. To find maps, where to stay, ratings, and other tourist information, go to the Port Macquarie online trip itinerary builder . Getting from Toowoomba to Port Macquarie by combination of bus and flight takes about 6 hours. Other options: fly; or drive. Traveling from Toowoomba in April, expect nights in Port Macquarie to be a bit warmer, around 18°C, while days are a bit cooler, around 20°C. Finish your sightseeing early on the 28th (Sun) so you can drive back home.